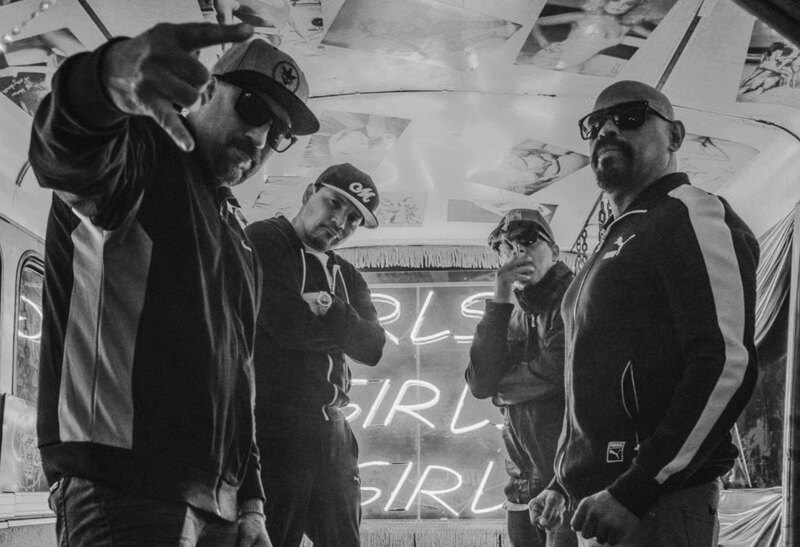 Debuted in 1988 and formerly known as DVX (Devastating Vocal Excellence) - Cypress Hill is a American hip hop group from South Gate, L.A, California. 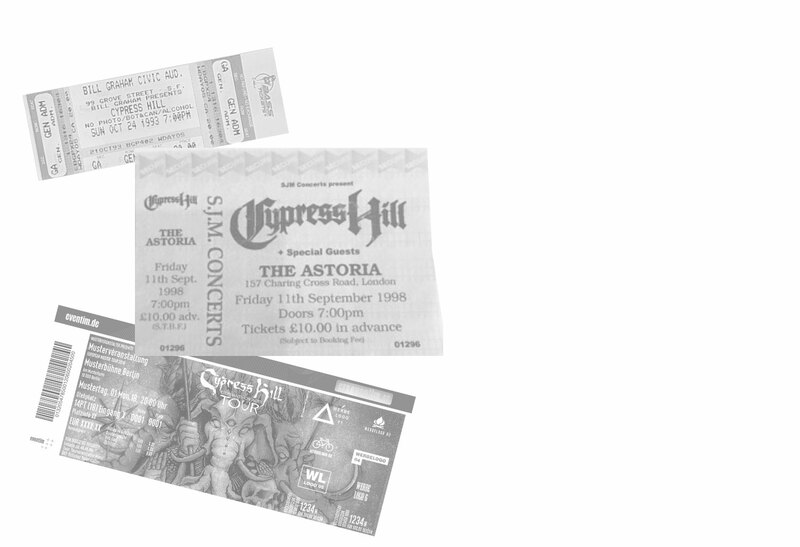 Cypress Hill made their first appearance at Lollapalooza on the side stage in 1992. They later topped the bill in 1995. Black Sunday, the group’s second album, debuted at number one on the Billboard 200 in 1993, recording the highest Soundscan for a rap group up until that time. Cypress Hill released IV in 1998 which went gold in the US, on the backs of hit singles “Tequila Sunrise” and “Dr. Greenthumb”. A Cypress Hill “interesting fact” is that Insane in the Brain has a pitched-altered horse neigh looped in its chorus. Cypress Hill were the first Latino American hip hop recording group to have platinum and multi-platinum albums, selling over 20 million albums worldwide and were nominated for 3 Grammy Awards. They were also the first rap group to have two albums in the top 10 of the Billboard 200 at the same time with “Insane in the Brain” becoming a crossover hit, the album went triple platinum in the U.S. and sold about 3.25 million copies. Rolling Stone magazine named the group as the best rap group in their music awards voted by critics and readers. Cypress Hill released their latest album “Elephants on ACID” in August 2018 and will continue to tour in 2019 – a full range of official merchandise including new collection items can be purchased via the official Cypress Hill online store, here.